Robert Gibson of Cary, NC is now listed with 3rdToad.com Tennis and more than willing to help you with your tennis game. To learn more about and contact Robert, please go to North Carolina Teaching Tennis Pros. 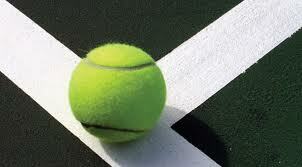 To list yourself as a Teaching Tennis Pro, please go to Tennis Pro Solutions. Something different is happening in North Carolina. We use and produce more personal tennis statistics than you can get on the pro tour at the US open. Using a tennis robot called Boomer. If you are in Raleigh or want to bring Boomer to Your club check out Robert.